10 AMAZING LIFESTYLE HACKS THAT HELP YOU AGE GRACEFULLY! When you go past 50, it’s about aging and aging gracefully! You can either choose to age gracefully or spend time between doctors, hospitals, bed and medicines. Some feel better with each passing year while some not so lucky! It’s about aging smarter. 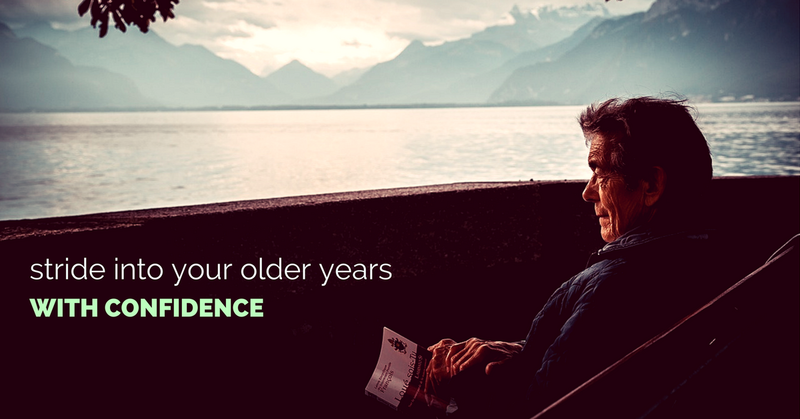 There are lifestyle tips that you can choose to age gracefully. Be it our parents, be it our loved ones, be it the elderly people all around us - everyone deserves a healthy & quality life. The problem today is we become too reactive and we have too much of fear that’s brought on to us by medical community, by social media and we run after life insurances and health insurances which are necessary. But oftentimes, we tend to ignore the fact that the human body has enough intelligence to prevent and heal disease. It has the brilliance of letting us live over 100 years. It’s true that medicines and technology made it possible to improve our life expectancy and quality of life, but we cannot just depend on them. We all know that the medicines can only treat the symptoms, and we will be trapped in the vicious circle of hospitals & medicines; we can use that when we need to, but on the other hand, we can start investing in some small lifestyle changes that can help us enjoy our everyday life. Here are a few modifications that all the elderly people out there can start making to their lifestyle right now. Try to reflect on what you did when you fell sick or put on a few pounds to your weight, and you will notice that the staple food has rarely caused you health problems, but it’s your own lifestyle habits that has brought diseases or deterioration in quality of life. Yes, with good lifestyle modifications, you can reverse that and start enjoying your life. 1. 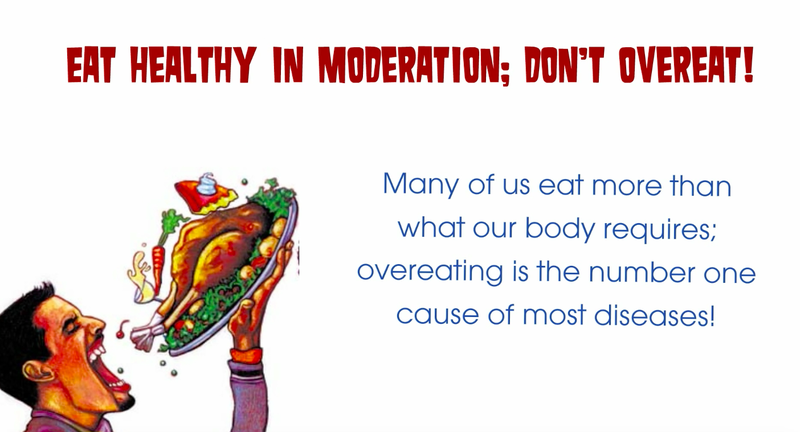 Eat what you want in moderation; don’t overeat! As you age, you need to put more focus on nutrition. Yes, nutrition is a must as soon as you are off breast milk. The pollution and contamination in food & water cause depletion of certain minerals and vitamins, which if we don’t get from food leads to low immunity and disease. So, when it comes to nutrition, consuming fewer calories is one good lifestyle habit you can make; doesn’t mean that you need to starve yourself or be on a restrictive diet. Many of us eat more than what our body requires; we overeat and overeating is the number one cause of most issues we face today. As we age, our appetite automatically decreases and we need to respect that and realign our eating habits with the laws of nature. Our digestive system uses 75% of our energy every single day. The digestive system is not supposed to use so much energy. We need our energy to be distributed equally around our body for repair, for healing, and for functioning of our vital organs. But if our digestive system is stealing most of the energy because of poor eating habits and we end up developing ill health. You might have noticed that you lose your appetite when you fall sick and that’s because your body wants to use the energy for repairing the cells / healing. Add variety to your diet. Outside eating is also one major cause of many health issues that we have today. You might also notice that, when you resort to eating home made food, most of your health issues start falling in place. You want live enzymes that repairs inflammation, improves immunity, and heals your body and you get them from the raw food. Make it a habit to have a simple raw vegetables as part of your daily diet. 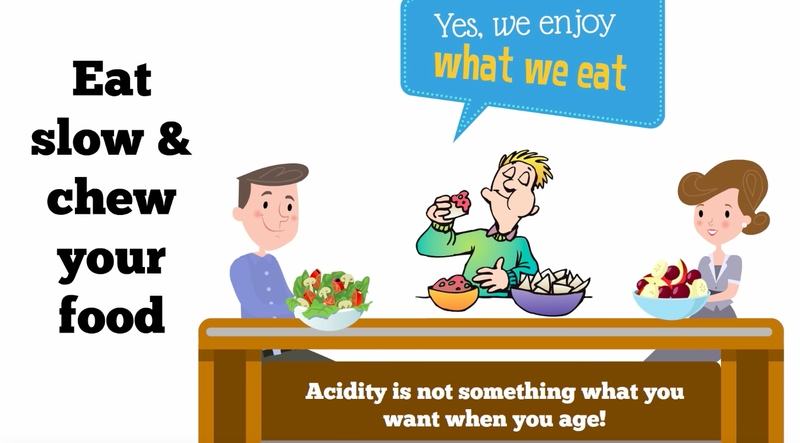 Acidity is not something what you want to have when you are aging. The mucosal lining of your stomach becomes weak over time and you don’t want the acid to make it weaker. A variety of diseases can be prevented with sufficient D-3 and B-12 levels. Almost one in two people across age group has D3 or B12 deficiency. Likewise, you see a number of cases of osteoporosis, cases of low immunity which is caused by deficiency of these two vitamins. Vitamin B12 is extremely beneficial for your mind health, for your memory, your neurological health. You look around, you can see people suffer from Alzheimer’s, Parkinson’s - we brought these diseases to ourselves. You may have the money to get treatment, but understand that deficiency of B12 & D3 could be causing this. Combination of coconut oil, black pepper, turmeric, walnuts all these ingredients can take care of your brain health. So, add a little portion of these ingredients to your daily diet. 5. Walk as much as you can! When it comes to exercising, walking is the best exercise for you. You must understand that you may not be able to lift weights, do intensive training, or running that you could do when you were younger. We all age and we have to be okay with accepting and letting go of things that we could do. But walking is something that you can do even when you are 90 years old. It’s great for circulation, It’s a weight-bearing exercise, it’s great for your posture, and it’s great for your body. Walk as long as you can every day, make it a habit to walk. 6. 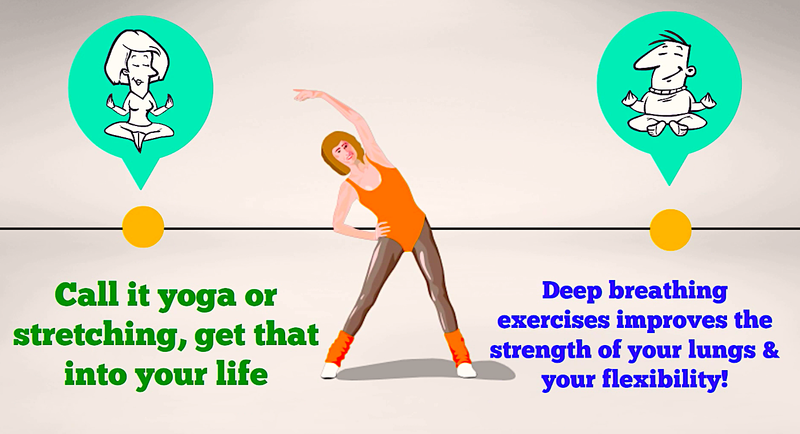 Call it yoga or stretching, get that into your life! Make it a habit to do some yoga as it improves the flexibility. Most of the aches and pains or you need assistance to get up starts when you lose your flexibility. Deep breathing exercises improves the strength of your lungs. We are not living in an ideal world; all of us are breathing air that is polluted and these pollutants increase toxins in our body. Toxins and toxicities lead to diseases and aches & pains. Five minutes of pranayama will help you immensely to live a life of fulfilment. You will find that your body requires it as you age; it’s a natural thing. Sleep refreshes you, rejuvenates you, balances your hormones, repairs your cells, so it’s okay to sleep if your body needs it. Your dental health - if want to enjoy quality life, you need quality teeth as well. Explore oil pulling: it’s a simple lifestyle habit of waking up in the morning and taking two table spoons of pure coconut oil in your mouth, gargling and pulling it all over, swishing it around in your mouth and spitting it out. This will take care of the most dental problems you have today. 9. Generation below is changing! Most of elderly people including your parents come from a space of control. Things are constantly changing around us. There are certain ideals that we cannot hold on to any more. Probably, this can bring immense stress and anxiety to you. Be it bringing up children, marrying off them, family life, etc. end of the day it’s damaging your health. How do you sort that out? Realise that you cannot change a situation, but you can change the way you look at a situation and deal with it. So, you need to look within you to gain that strength to take control of these situations - you gain that through medication, prayer, chanting, or visualisation - indulge in whatever that works for you. 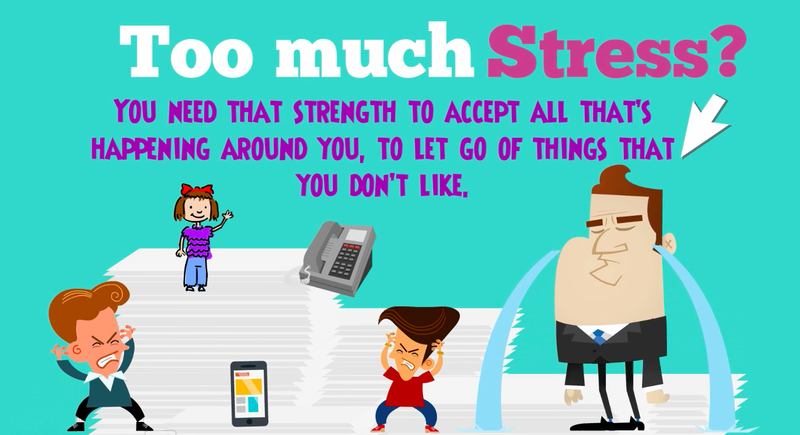 You need that strength to accept all that’s happening around you, to let go off things that you don’t like. No amount of worries or stress can solve the problems in your life. 10. Socialise, Volunteer & Have Good Friends! Channelise your energy to socialise and help people around you. Probably, you could counsel people, spend time with people, etc. Doing service to those in need is one of the most meaningful and beautiful things you can do in your life. It’s not your money, but your time and wisdom that keeps you fulfilled. Choose community over society, because community is something that you build. Remember - healing comes from within and it’s never external. Your body keeps giving you biofeedback all the time, listen to it carefully and respond.